Robert E. Greene offers an in-depth commentary and analysis of the Quad Artera Play linestage/DAC/CD player and Stereo Power Amplifier reviewed by Paul Seydor in Issue 268 (December, 2016). Like many people who are interested in how amplifiers actually work, I have long been fascinated with the Quad “current dumping” amplifiers, starting with the 405 model and the 306 and 606 models, which I reviewed in Issue 71. 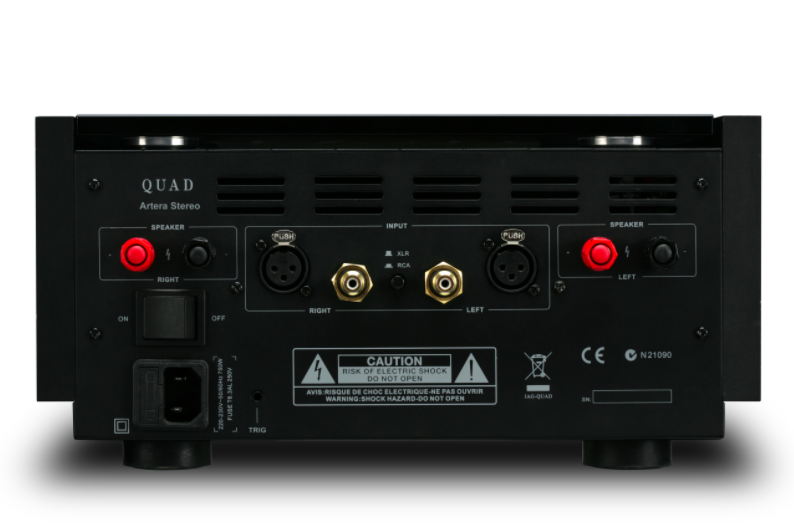 In this review, I concluded with the thought that if high-end people did not think the Quad amplifiers were perfect within their power limits, as Quad asserted, then it was really obligatory for the objectors to explain what was wrong with them. Still, for all my enthusiasm for the Quad amps at the time (and I in fact bought the 306), I was concerned about two aspects of the designs. First was that they had limited ability to deliver current and thus did not react well to low- impedance loads. The second source of concern was that they were band-limited, with a quite severe roll-off in the bass and a considerable roll-off on the top as well. These had to my ears some audible effect, though it was hard to be sure that the effects were not just the superior behavior of the amplifier otherwise. But on the Hafler differential input/output test, the phase shifts associated to the band limiting made for a larger differential between input and attenuated output then wider bandwidth designs exhibited. Though it was hard to square the possible audible importance of this with the daisy-chain inaudibility, the point remained a concern to me. I was so impressed with the design in principle that I seriously considered trying to get a license from Quad to design and manufacture myself a version of the amplifier with higher current capability and wider bandwidth. I gave this idea up because I realized that I am really more a critic and theoretician than a businessman. Anything I cooked up would likely have remained a prototype! I always hoped, however, that Quad itself would make such a version of the current dumping design. I had to wait a long time. But here it is. The Artera Stereo is essentially flat to 1Hz and has a -6dB upper limit of just over 100kHz, -0.35dB or so at 20kHz (figures are specifications by Quad, supplemented by Paul Miller’s measurements for Hi Fi News). This is hardly the proverbial DC-to-light territory (some amps go out to megahertz—though they usually do so at the price of other problems), but it is plenty to get largely rid of what I had supposed were the audible consequences of the band limits of the older “current dumper” designs, as indeed they turned out to be. And the Artera Stereo does a respectable job of even 1-ohm loads—which fortunately are rare nowadays. Certainly for 2 ohms on up, one will be in good shape, with the current capacity being 12 amps—not enough to drive trucks but almost surely enough for domestic audio with ordinary speakers in rooms of plausible size. In short, the Quad Stereo is the amplifier I would have hoped to build myself, back when I was dreaming dreams of current dumping. Does it sound “good”? Of course it does—if the material is good, the sound is good. This is a stable, clean, essentially neutral amplifier. Sometimes when one waits for something a long time, when it arrives it can seem not so important as when one first was waiting for it. In the decades since Issue 71, when I first encountered in the Quad current dumpers, amplifier design has come some distance, though not in fact quite as much a distance as reviewing sometimes suggests. And the Quad Artera Stereo, which might have swept all before it in 1985, has serious competition today, even at its reasonable price. For one thing, for not much more money, there is the Benchmark, which has slightly less power but even better distortion specifications and is considerably quieter and has wider bandwidth (-3dB at 200kHz, -0.17dB at 20kHz). Is this wider bandwidth going to be audible? Yes, just barely in in-band response terms. When the Quad arrived. I put on a recording I had been listening to a lot with the Benchmark amp. 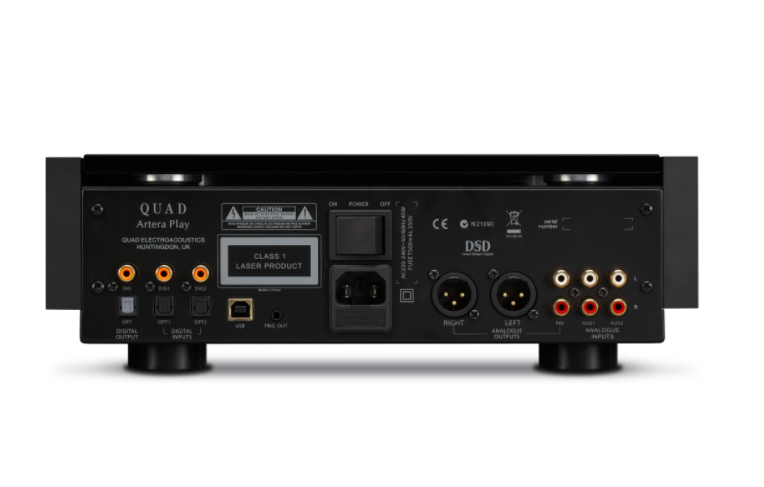 (I did not switch to the Quad Play—the input to the Quad amp was the same as the input to the Benchmark amp had been). And yes, the top sounded just slightly more subdued—but slightly is definitely the word. The Benchmark costs a bit more but not a lot more. For people who need more power, there is the Sanders Magtech, which costs roughly twice as much but will drive anything at all (and sounds superb). And of course others will have their own favorites.